Can You Make Candy Using Honey Instead of Sugar? 2 Can You Make Candy Using Honey Instead of Sugar? Substituting honey for sugar in your family's favorite recipes can alter the texture of your final product, as well as the flavor. While honey is higher in iron and calcium than sugar, as well as other minerals, eating enough of it to gain significant amounts of vitamins and minerals would also mean ingesting far more carbohydrates than is healthy. Honey comes in many varieties, depending on which plants the bees that make it can access. 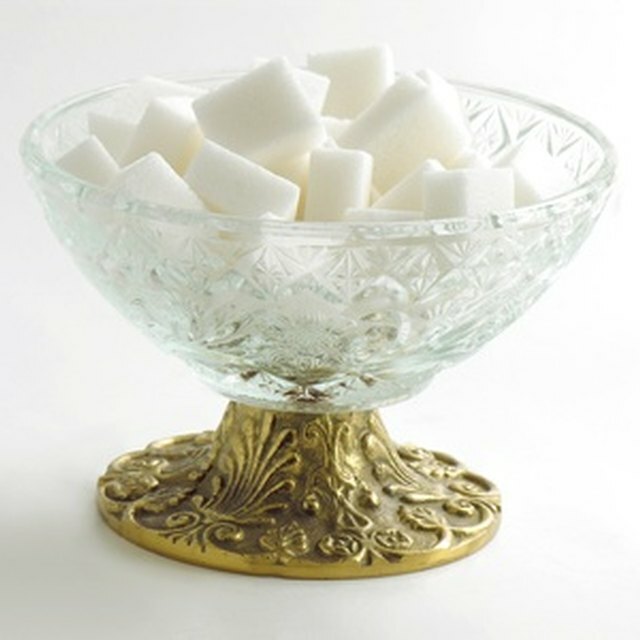 When substituting for sugar, use only light-colored honeys, as these tend to have the mildest flavors. Honey in general tastes sweeter than sugar, so going with a dark honey can make your recipes overly sweet. Clover honey is a common medium-light honey you can get at nearly any grocery store, and it is a fine substitute for sugar. The amount of honey to use in your recipe depends on what type of recipe you use. In "The Joy of Cooking," experts Irma Rombauer and Marion Rombauer Becker recommend substituting an equivalent amount of honey for sugar in bread recipes, or only 7/8 cup honey for 1 cup sugar in cookies or cakes. Keep in mind that honey tastes a lot sweeter than sugar, so you may wish to reduce the amount of honey even more, using only 1/2 to 2/3 cup honey to replace 1 cup sugar. Add honey to the other liquid ingredients in the recipe and stir them together well, rather than adding honey with the dry ingredients as you would with sugar. Honey is also more acidic than granulated sugar, so consider adding a pinch of baking soda to your recipe as well. For extremely acidic honey, add up to 1/2 tsp. baking soda per cup of honey. Since honey is a liquid, adding honey to the recipe means you've added more liquid, too. Reduce the amount of another liquid, such as milk or water, by 1/4 to balance out the honey. For instance, if the recipe requires 1 cup milk, use 3/4 cup instead. Substitute honey for sugar if you prefer its flavor or are out of granulated sugar, but keep in mind that the best way to keep sweet snacks healthy is to limit how much your family eats rather than to use a different type of sweetener. Honey also will cause your recipes to brown more than sugar, so the final product may not look exactly as you planned. Can I Sweeten Cranberries With Honey? What Can I Substitute for Malt Extract?